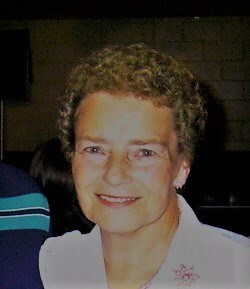 Newcomer Family Obituaries - Patricia A. Gerhardt 1945 - 2019 - Newcomer Cremations, Funerals & Receptions. Patricia Ann Gerhardt, age 73, of Mount Healthy, Ohio passed away on Sunday, February 3, 2019. She was born in Brookville, Indiana on June 6, 1945 to George and Pearl Wolpert (nee Shank). She was preceded in death by her parents; former husbands, John M. Williams, James L. Cochran; sisters, Carol Werner, Georgia Henson. Patricia is survived by her beloved husband, Thomas J. Gerhardt, Jr.; children, Johnnyray (Rosa) Williams, Patsey S. Steiber; step-children, Ginger (Charles) Fuerbacher, Thomas J. (Carrie) Gerhardt, III, Susan Decker, Clara (Alan) Sams, Herman J. Gerhardt, Jackie Gerhardt, James Cochran, Sheila Cochran; daughter-in-law, Sharon Cochran; grandsons, Joey Steiber, Jonathon Steiber, Jeromy Steiber, Josh (Jessica) Steiber, James (Angie) Cochran; great-granddaughter, Alexa Steiber; grandchildren, great-grandchildren from the Fuerbacher, Gerhardt, Sams, and Decker families and a host of other family members and friends. Funeral Ceremony will be at 11:00 am Friday, February 8, 2019 with a visitation from 10:00 am - 11:00 am at Newcomer Northwest Chapel, 7830 Hamilton Avenue, Cincinnati, Ohio 45231. Burial to follow at Arlington Memorial Gardens. In loving memory of Patricia, in lieu of flowers, contributions may be made to Make-A-Wish® of Ohio, Kentucky & Indiana, 4500 Cooper Road, Suite 304, Cincinnati, Ohio 45242 or online at oki.wish.org. To share a memory of Patricia or leave a special message for her family, please click the Share Memories button above. Add your memories to the guest book of Patricia Gerhardt. Its been a week since my Mother, Patricia went with the angels. She suffered with so much pain, but that never stopped her from enjoying life with family and friends. I was blessed with a wonderful childhood, filled with so much love and magical memories. It was amazing to see how many friends my Mom had. She had the ability to smile and capture the hearts of so many people through her journey in life. In the final hours of her life, she was surrounded by family and dear close friends. It has only been a week since my final touch of her hand, talks to her soul, and my last kiss to her lips, but feels like a lifetime already. Thanks to everyone for their prayers and celebrating her life with our family. I am so proud to have had a Mother so loving and giving. I will cherish my memories, love as I was taught too and will search for you at the end of my journey, so that I will live out eternity with you Mom. My sincere condolences go out to my friend and long time buddy Johnnyray for the lost of his wonderful Mom. I have so many fond memories of her that go way back to when I became friends with Johnnyray that started when we were about 9-10 years old. I use to love going to his house to play and she always met me at the door with a big hello and always had something nice to say to me. Patricia made some of the best Christmas and Halloween cookies and would never let me leave without having me eat three or four of them which I gladly obliged. She always made me feel welcomed in there home and I had some fun sleep overs and she would always make a nice big breakfast the next morning. Patricia will be dearly missed by all but her smile and the joy she shared with everyone will never be forgotten. Oh how sad I was to hear about our soooooooo beloved friend of the park. She will be soooo missed. She kept us all informed about each other but never worried about herself. Pat, you are so loved and will be so missed by so many. MY HEART IS BROKEN. I know you are at peace and that brings me peace. RIP Pat, we love and will forever miss you!!!!!!! I am deeply saddened by the great loss you and your family has suffered. Pat was a great, strong minded woman, who kept me laughing. She was a hoot to be around and will truly be missed. My heart goes out to you in this trying time and I hope you find much-needed comfort and peace during this sad time. Losing our loved ones is never easy, just know she was a beautiful soul and will not be forgotten.